This field encompasses all kinds of areas of speciality including: Computers/IT, Psychology, Criminal Justice, and Logistics. As with many careers there is no one single educational path to follow, and it all depends on what you want to do with your degree. If you are interested in finding out more about a specific school or program, we’ve listed a few popular (and accredited) options below. What Do I Learn in a Master of Homeland Security Program? Students focus on management skills, strategy, ethics, decision-making skills, research methods and analytical skills. It is an exciting time to be part of security measures in the U.S. and this degree opens doors for students wishing to work for the government or private companies. Private companies are increasing their security and need people who are well-equipped in this field and know how to utilize technology to keep their properties and intelligence safe. What Classes Do I Take in a Master of Homeland Security Program? Am I Only Learning About Terrorism When Obtaining a Master of Homeland Security? A Master of Homeland Security is intended to teach students how to protect structures and intelligence on all fronts. It is not a program that solely revolves around terrorism. Terrorism does play a large role in homeland security efforts, but a Master of Homeland Security prepares students to work with many security problems. These include terrorism, natural disaster, biological warfare and hacking. What Do I Need to Qualify for a Master of Homeland Security Program? Because this program is fairly new, not all programs have prerequisites. Some require a bachelor’s degree in a related field. This might be public policy, network security or information technology. These are not the only degrees that will make you eligible for a master of homeland security program, as they vary by school. Others may allow military personnel with a bachelor’s degree in any subject to quality for a Master of Homeland Security program. It all depends on the program. Most online programs that are attached to traditional schools will have prerequisites, while those who are solely online schools will not. Students always need a bachelor’s degree in order to enroll in a Master of Homeland security program. The only thing that varies is what that degree is in. Why do I need a Master of Homeland Security? For those who want to work in middle and upper ranking positions in security systems for the government or private companies, a Master of Homeland Security will get you there. Prior to this degree, it took years of working on the job to accumulate the experience and know how of making quick decisions and taking the correct actions during a time of crisis. A Master of Homeland Security focuses on certain areas that specifically prepare candidates for those types of disasters, such as a hurricane or military attack on home soil. A Master of Homeland Security prepares you for those specific issues you will face in a high ranking job. With the changing state of security in the U.S., it was quickly realized that there’s no time to waste for entry level personnel. Now instead of learning for 10 years on the job, students with a master of homeland security degree are prepared for those positions with a two year masters program. How Can I Get a Job With a Master of Homeland Security? It can be difficult to get a job after obtaining your master’s degree depending on your job experience and other factors. One of these other factors is security clearance. Because many private companies work with the government under contract, they require employees to have government security clearance. This is very costly for a company to obtain for an employee, so may require the employee to already have it. When it comes down to it, if the position is between you and someone who already has security clearance, the other party is most likely going to get the job. One way to obtain security clearance is to get a job as an entry level intelligence analyst. It can be a long process getting this job, but once you do, you will have government security clearance and work experience in conjunction with your master of homeland security. This makes for a very good resume for future employers. If you already have your bachelor’s degree in political science or a related field, you can opt to enter the military to obtain security clearance. This is a common path for those who go on to work in homeland security. If you are currently in the military or have a military background, you already have an edge on the competition. You have security clearance and likely have some security skills. You do need a bachelor’s degree in order to qualify for a master of homeland security program. A Master of Homeland Security will teach you systems analysis, leadership skills and focus on the intelligence portion of security. Regardless of what your background is in the military (infantry, maintenance, etc.) 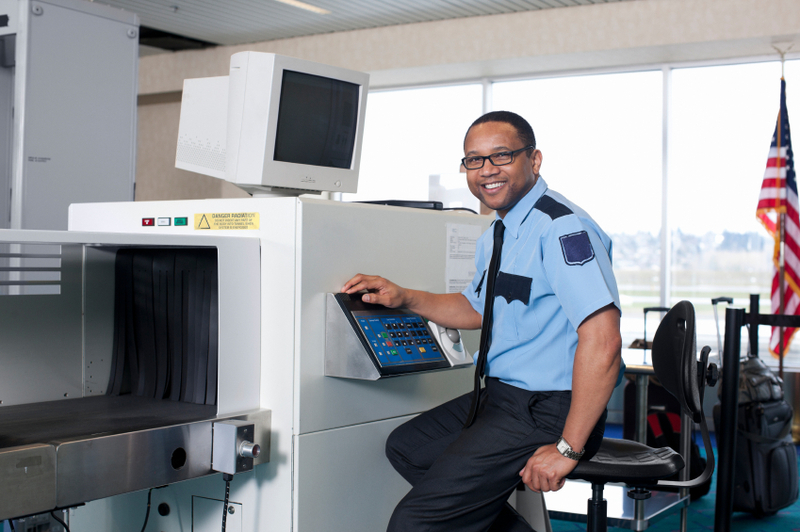 a Master of Homeland Security is beneficial for your future if you wish to stay in the field. You can continue to work full time at your job while obtaining a part time master of homeland security degree or you can go to school full time. The less of a gap there is in your resume, the better, so you should begin your master of homeland security program while still in the military or soon after. Military personnel often have a clear understanding of security computer programs and know how to analyze data and make split decisions. These are all skills that will serve you well in a Master of Homeland Security program, as well as in future security jobs. How Important is Experience for Working in Homeland Security? Experience is arguably the most important part of getting a job in homeland security. Both the government and private companies want candidates who can hit the ground running when it comes to their position. Seldom is there time or funding to train people on the job. It is all about experiences you already have and learning as you go for the new position. A Master in Homeland Security does prepare students for critical thinking and analysis, but seldom is the degree enough on its own to garner a high ranking position. Job experience is an integral part of working in homeland security. What is the Best Way to Get Job Experience? The best way is through the military. This is a prime area for military personnel with college degrees to excel. If you are a civilian, you can apply for an officer position after receiving your bachelor’s degree. Depending on what part of the military you’re in, you may be assigned as an entry level intelligence analyst. This gives you experience and you may be able to enroll in a Master of Homeland Security program while you’re actively serving. Working as military personnel also gives you security clearance. This will be beneficial once you’re out of the military and working as a contract employee for a private company in security. What if I Have Been in the Military for Many Years? If you joined the military early on and already have 10-20 years of experience, a master of homeland security is the ideal fit for you. You may be retired or about to retire, but you’re only in your 40s. You have the experience and you may already have a bachelor’s degree, making you a prime candidate for a Master of Homeland Security. Private companies need your level of expertise. You already have security clearance; you only need the leadership and technology skills to take your career to the next level. This is the path for many military people who retire while they are middle-aged. A Master of Homeland Security is not required for you to work under contract for a private company, but it can increase your chances of gaining employment immediately after retiring.